I was craving a hot dog for some strange reason and could only think off Harry’s Café de Wheels. I haven’t been here for a while now, this used to be my late night snack place during uni days after a big night out. Totally drunk off your face, nothing goes down better than a chili con carne hot dog or a meat pie with the lot (with mash potatoes and peas) both from Harry’s. This place opens till late – like 2.30 – 3 am in the morning, pending on which day, so there is plenty of time to drop by for a snack before going home! 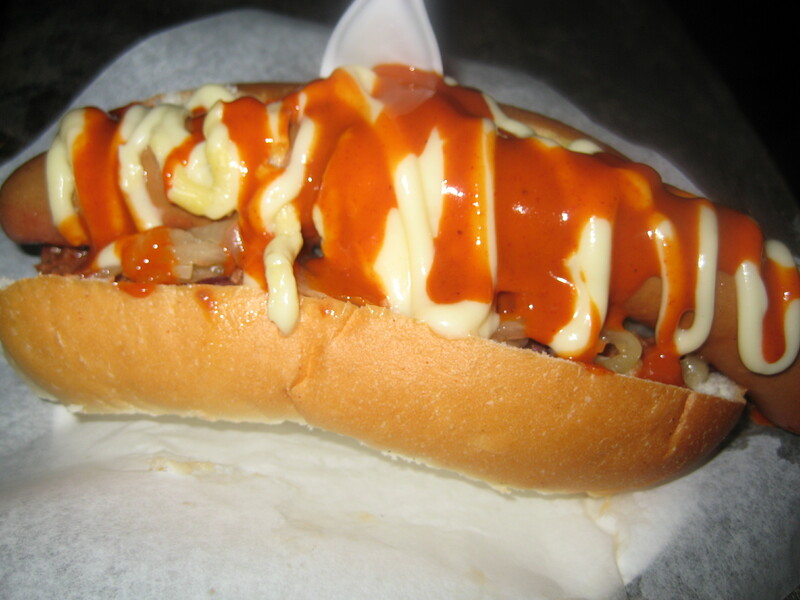 I wasn’t drunk that evening, but oddly, was craving for a good hot dog. So I got my brother to drive me here and whilst the parking absolutely sucked, the hot dog was well worth it! I ordered the hot dog with mashed peas – not quite sure why I didn’t go for the mash potatoes or both. The guy behind the counter asked what sauce I wanted, I couldn’t decide so asked for tomato / chili and mustard and my gawd… it was the perfect combination! The hot dog was HUGE! I struggled to get the whole thing in my mouth but I managed… surprisingly! Even my brother was utterly shocked! The frankfruit was soft and tender. It was absolutely perfect, just what I wanted. My brother, F, ordered the chili con carne hot dog and if you thought mine was huge, his was even bigger! It had everything! 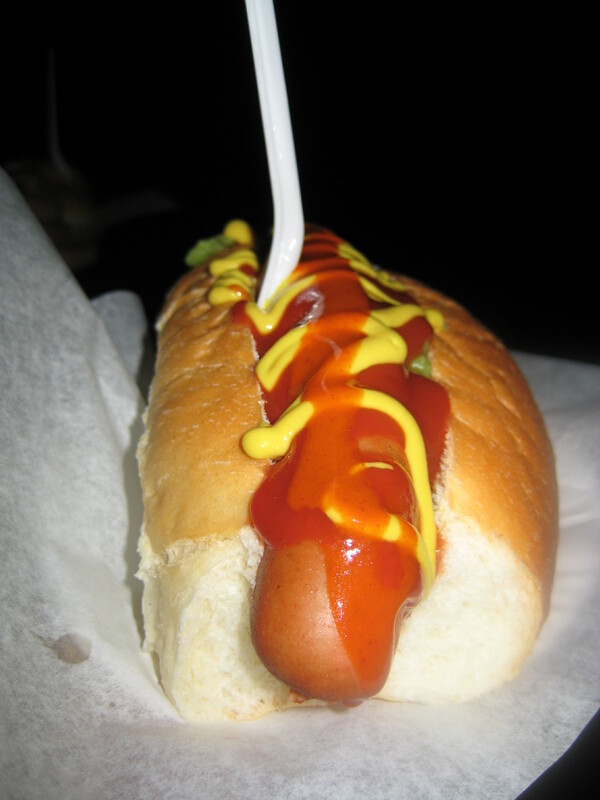 The hot dog came with onions, con carne, chili, tomato sauce AND mustard! Not quite sure how he managed to put all that in his mouth but he did. It was also good! The chili con carne made it even spicier which was nice, but was way too much for me. 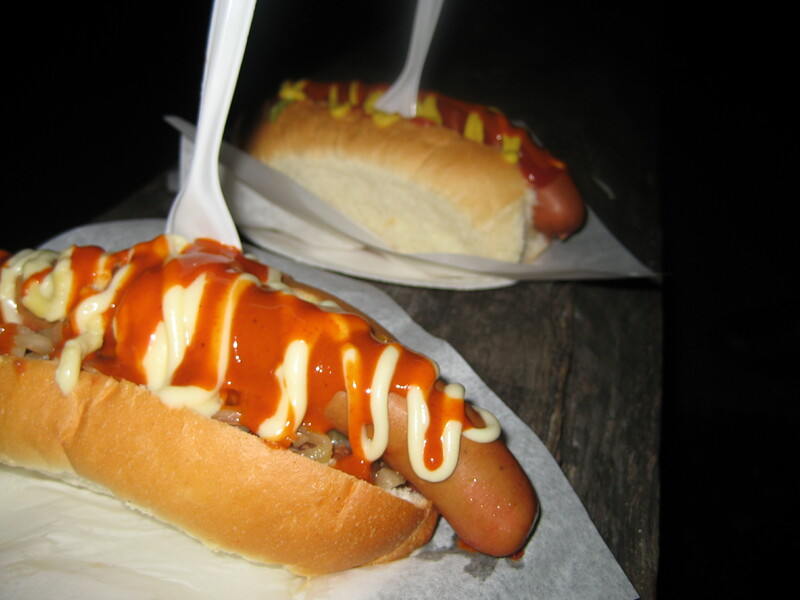 Eating the hot dog brought back many memories… uni memories, we sat there mesmerizing about the past, the good and the bad! A beer would have gone nicely, but alas, no beer. Hot dogs is not their only specialty, they also have pies, pasties and sweets! Opened at 6 different locations, it is seriously one of the best hangover cure! Don’t need an excuse to eat at Harry’s. Makes my mouth water! !